San Francisco, CA — A San Francisco man who stabbed an attacker who burst into his residence was found not guilty Tuesday of second degree murder. 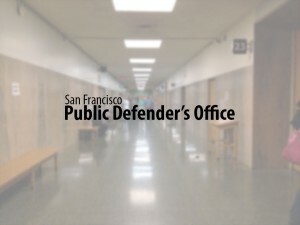 The San Francisco jury acquitted Mikel Harris, 44, following a nearly month-long trial and two-and-a-half days of deliberation. Jury members also found Harris not guilty of involuntary manslaughter. They could not reach a verdict on voluntary manslaughter and a mistrial was declared. Harris was arrested May 8, 2009 for allegedly killing Andre Fluker, 41. Harris was chopping garlic in his small room in a Tenderloin residential hotel when Fluker, who had been banned from the property for previous violence, entered and immediately punched him, said Harris’ attorney, Deputy Public Defender Kleigh Hathaway. “Mr. Harris was cornered in his 11 x 13 room and did what any of us would have done—he raised his arms to defend himself,” Hathaway said. As the 206-pound Fluker lunged toward the 135-pound Harris to strike him again, the steak knife Harris was holding entered Fluker’s chest, Hathaway said. The incident lasted less than five seconds, based on surveillance that captured Fluker storming to Harris’ room and then stumbling out. The jury heard testimony from numerous witnesses who described Fluker’s extensive pattern of violence, including choking, robbing and beating men and women. Hotel employees testified they often called police on Fluker for trespassing and terrorizing residents. San Francisco Public Defender Jeff Adachi commended the jury for examining all the evidence and rendering a fair decision. “Imagine being in Mr. Harris’ position, making lunch inside your home when someone attacks you without warning. He didn’t intend to kill the decedent, only to protect himself,” Adachi said.